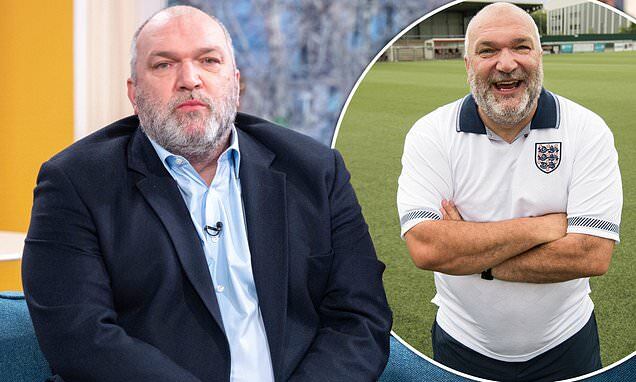 Appearing on Friday's This Morning with his wife Leah, the retired footballer, 50, explained he's been told by doctors to lose five stone, and is already taking statins to lower his cholesterol. This comes after Neil lost just 2lb over 12 weeks as part of Harry's Heroes, which saw him try to get in shape to play alongside some of England's greatest football legends, spearheaded by manager Harry Redknapp. Neil added: 'Once you’re at the doctor in Harley Street it was a wake-up call really. As Neil admitted he's gained three more pounds since filming Harry's Heroes late last year, he said he's always struggled with his diet, after years of restrictions that came with a gruelling football training regime.